If you've ever wanted to go on an amazing adventure but want a bit of reassurance the first time or simply don't want to worry about any organisational details these holidays are ideal. Fully escorted from London to London by a member of Unicorn's expert and friendly team, these small groups are lots of fun and a safe way to have the adventure of a lifetime. Prices include international flights, all transfers, services of a Unicorn guide and local guides as well as everything on the trip. The only money you may need is for those irresistable souvenirs. Possibly the toughest ride in the world and a must do in the repertoire of any serious trail rider wanting to challenge themselves. 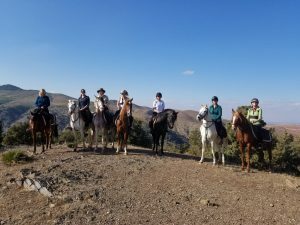 See what horses are truly capable of as you ride over spectacular mountain passes and move on at a fast endurance pace where the terrain opens up on beautifully responsive, fit and sure-footed Boerperd horses. Encounter local riders on Basutho horses riding from village to village along the horse trails criss-crossing this mountain kingdom. It is impossible to overstate the profound impact of completing this ride! Riding Ability Required: Intermediate onwards. 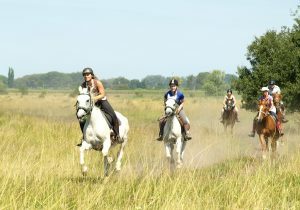 Riders must be comfortable at all paces, have experience riding over rough terrain and have an adventurous nature. An adventurous horse riding holiday starting with a tour of Moscow, then travel on the Trans-Siberian railway to Irkutsk where we drive to the shores of lake Baikal and ride on Orlov cross horses through the Tazheran forest-steppes. Camping and guesthouse accommodation. 2019: 14 or 19 June to 27 June; 10 or 15 August to 23 August; 24 or 29 August to 6 September. Riding Ability Required: Intermediate onwards. Must be able to walk, trot and canter. Novice riders by arrangement on own departure dates with modified itinerary. Transfer: Included from Moscow DME airport for flights arriving at 17:30 on Day 1. Transfer to Irkutsk airport on Day 13 arriving approx. 11:00 included. All the excitement viewing Big game with excellent riding in Botswana and South Africa for experienced riders. 2019: Low Season Static Ride: 4, 11, 18, 25 Jan; 1, 8, 15, 22 Feb; 1, 8, 14, 22, 29 Mar; 5, 12, 19, 26 Apr; 3, 10, 17, 24 May. High Season Static Ride: 31 May (escorted); 7, 14, 21, 28 Jun; 5, 12, 19, 26 Jul; 2, 9, 16, 23, 30 Aug; 6, 13, 20, 27 Sep; 4, 11, 18, 25 Oct; 1, 8, 15, 22, 29 Nov; 6, 13, 20, 27 Dec.
Low Season Mobile Ride: 1, 8, 15, 22, 29 Jan; 5, 12, 19 Feb.
High Season Mobile Ride: any date from 27 Feb-30 Nov, private group bookings of 4-8 riders only. Riding Ability Required: Confident intermediate to experienced. Min age 10. Usual Group Size: 1 - 8. Private groups can be up to 10. Transfer: 2019: Option 1: road transfer - approx. £300pp return JNB-Camp Davidson-Tuli-JNB. Option 2: road transfers as above with light aircraft transfer on Day 8, minimum 2 pax, price TBC.